So here I am, in the midst of my Scholastic book fair for spring and I did not think this event would lead me to my next GR review, but it has. 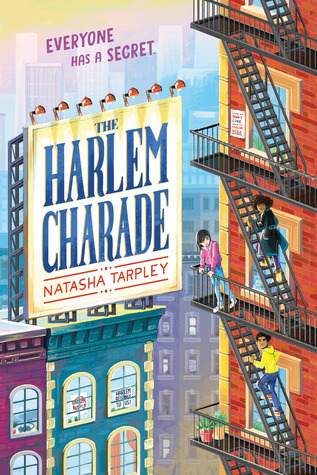 After looking at the reviews in Goodreads and reading the text, I have just discovered Scholastic has Natasha Anastasia Tarpley just-released book, Harlem Charade, in paperback. Needless to say I have ordered a classroom set for my 6th grade reading group. There are several questions I have and several observations I’ve noticed from the reviews of this title in which some find it not interesting, while others are over joyed with its representation. I liked this book’s overarching premises of community, family, history, and culture as would be placed in today’s world. 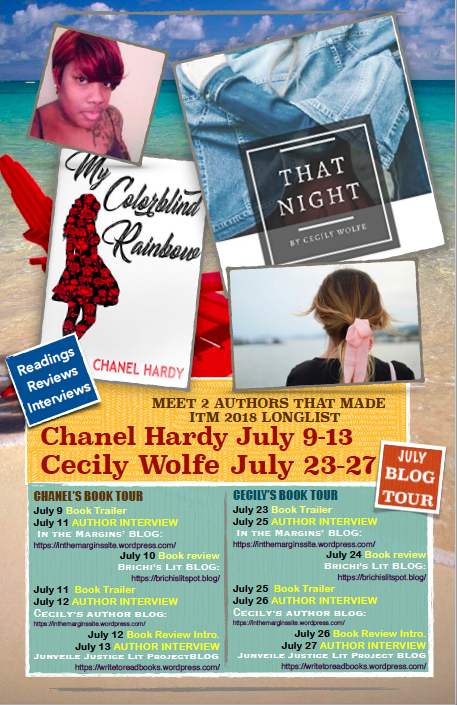 That it is set in contemporary Harlem with issues that touch headline news is vital, for it provides opportunities for our younger teen & tween readers to discuss this within their own age group circles, especially in a book club, classroom, or grade level placement. The story characters are reflective of the children and classroom makeup of many schools in today’s world: Jin is Korean, Elvin is black, and Rose is white. I liked the Asian family running a neighborhood bodega. Look at the dicotomy of that situation alone! Not to give away any of the story, but there’s so much dialogue to come from this alone. A bodega in Harlem would mean a Spanish owned market or store of some kind. That an Asian (Jin’s family is Korean) family is running a neighborhood bodega should be a standout curiosity. There has been clashes with Korean businesses in Harlem for a long time…the Korean fruit stands that were at a time the only fruit stands in the Harlem neighborhoods…throughout the country the black hair supply stores ran mostly by Koreans are just a few. There’s even the Chinese food takeouts ran by Koreans, and now the fried chicken shops all over Korea and showing up USA style in America. I really think if we looked closer at the pop culture development of Korea, we would understand the Korean influx into the black and Latinx communities. Do our children realize the migratory patterns of Korean immigrants across the world?… the Korean Diaspora? Do they know South Korea has one of the largest Afro-Asian populations of all Asian countries? Do they know there are people of Asian ancestry in general and specifically of Korean ancestry in just about every Caribbean Island…Haiti, Jamaica, Cuba, Mexico’s …? This book opens up dialogue to those windows and sliding doors (Rudine Bishop’s 1990 plea for positive imagery and diverse contemporary life for our Children of Color). Before 10 pages are up, there’s the discovery of a rare painting and the discussion of how much harder it is for artist from communities of color to become established and for their art to sustain…and the mention of Zora Neale Hurston, who was given so much push-back for writing about a romance that is set in the oldest chartered all-black city to still be functioning today 6 miles south of Disney World, and who later died and was buried in an unmarked grave. There are questions that can be addressed as to why this country which is touted as the land of opportunity, is not a country that supports its fine arts. There are no platforms for them to display their art, and to be trained in the craft is often too expensive for young unknowns from underrepresented groups. Although I am digging deeper, this book addresses these issues and more…and I haven’t even touched on Rose and Elvin. From a children’s book perspective, a country that is not supportive of the fine and performing arts and has major publishing companies that produce childrens’ books at a 90% annually rate with non-diverse protagonists in a country whose POC is approximately 48% is experiencing identity issues. Our history is not positive in its reflection of POC and there needs to be an adjustment. 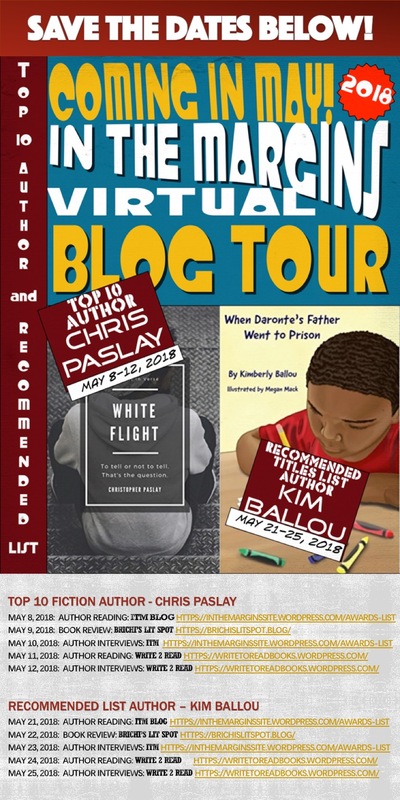 This novel seeks to address these issues with care and a sense of unity, as well as the reminder of how a community and family’s strength can be sustaining. Reblogged this on Finding Joy. So happy to know you read my review! We are working on getting a 2nd class set of the title.